After the first Pepperell Kids reunion in 2005, Jane Sanders Worthington began recording memories of those who grew up in Pepperell Mill Village, along with her own blissful childhood days in a place that was changing and disappearing from the landscape. In 2012 and 2013, she assembled the stories and old photos, along with the history in two books. When Pepperell Manufacturing Company opened the mill, it not only changed the lives of those who came to work there but also the town of Opelika. 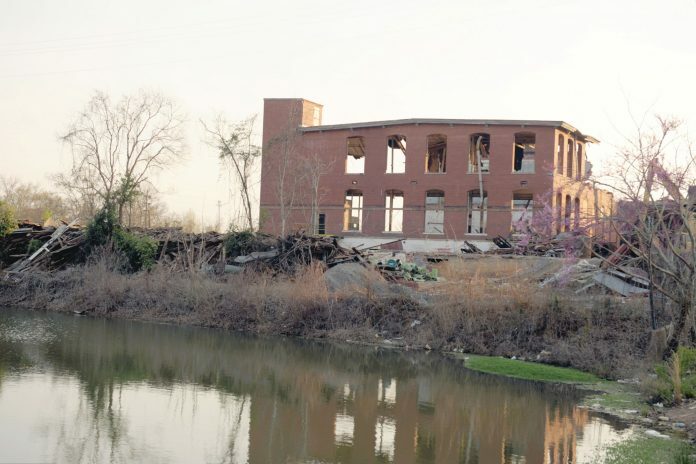 Bringing the mill to Opelika was an effort of community leaders that almost didn’t happen. The Pepperell Manufacturing Company was founded in Maine by textile pioneer Samuel Batchelder in 1844. He named the company after Sir William Pepperell, a colonial merchant who served as general of New England troops a century earlier. When the mill began exporting to China and India in 1851, the owners realized that there was a language barrier, and they needed a trademark symbol to identify the Pepperell products. They knew it needed to be symbolic of the Orient. During the summer of 1851, a Boston artist was hired to create a dragon. Since they did not want it to resemble an existing Chinese dragon, a dragon of English heraldry worn by England’s Tudor kings was selected and given a Chinese look. It became the most famous textile trademark in the Far East. When cotton mills began to expand into the South, a group of Opelika businessmen learned New England textile plant representatives would be traveling through Alabama looking for a location to build a mill. They asked Tom Johnson of the Alabama Power Company, who was escorting company officials to possible sites, to come to Opelika. “Late on a November afternoon in 1924,” says Jane, “a gathering of citizens was called to order in the grill room of the Clement Hotel.” The Pepperell representatives outlined the financial set-up of the company to the businessmen, which involved raising cash in excess of $60,000. At the next meeting, local businessmen reported they could raise the cash. As time passed, they found it much more difficult than expected. On a chilly afternoon in February, the townsmen told the mill officials it seemed hopeless. The officials left on the 5 p.m. train for Birmingham to visit Gadsden since Opelika had failed to raise the funds. Worthington writes in her first book about Ike Dorsey going to see Bill Davis at his office. Dorsey quickly began calling the officials to return to Opelika and left a message at the Tutwiler Hotel in Birmingham. That night 20 men met at the Davis home. 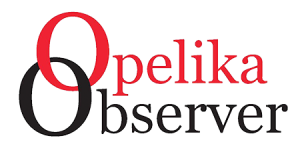 As old subscriptions were replaced with larger ones, Opelika had more than enough funds. “That memorable civic campaign was one of the most important and decidedly the most profitable one ever conducted in this city at the time,” Worthington said. “It was a drive by Opelikans for Opelika. Among the prime leaders were I.J. Dorsey, W.E. Davis, Judge Lum Duke, J.S. Hagedorn, John Allen Jones, M.M. McCall, John V. Denson, L.F. Dickson, Charles M. Jernigan and many others. In April 1925, ground was broken in a former cotton field, and construction began on the mill and 100 houses, as Pepperell Mill Village became reality. The mill was completed in 1926 with the first yard of cloth woven on Feb. 25. The school opened in September with around 200 students. A church was constructed for Baptist and Methodist congregations. In 1927, a grocery store, barbershop and theatre were built, with the theatre closing a few years later to enlarge the grocery store and add a drug store. A baseball and athletic field was built in the village in 1930 and the Lady Pepperell Shop in 1933. In the years that followed, the mill village was home to hundreds of families and countless children who grew up playing with friends after school and meeting at the drugstore for a cold drink. These stories are about happy times and hardships families faced during those days. The mill closed in 2007. After the mill burned, the Pepperell Kids decided to preserve the dragon plaque. They raised $4,500, with the City Council and Opelika Historic Preservation Society donating the remaining amount needed. The plaque was transported to its new home outside the Museum of East Alabama, which is on the site of the Clement Hotel in downtown Opelika. The cement dragon plaque that had hung over the door to the beachery was enclosed with bricks from the mill. Worthington’s books on the Pepperell Kids and workers have preserved a part of Opelika history and leave a legacy for those families who will always remember their home in the Mill Village. One of Worthington’s books on Pepperell Mill history is available at the Museum of East Alabama and others can be ordered by contacting the author.